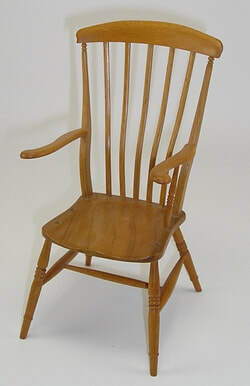 About 30 years ago, as a birthday gift for my brother, I made a 1/6th scale model of my favorite chair, the one I used every day : an English farmhouse chair. Unfortunately both the original and my replica are now both in a state of disrepair. See photos. More recently I became aware of ﻿Vitra﻿, a European company that makes full-sized and 1/6th scale replicas of iconic, late 19th and 20th century chairs designed by the likes of Charles and Ray Eames, Le Corbusier, Frank Lloyd Wright, and Charles Rennie Mackintosh. 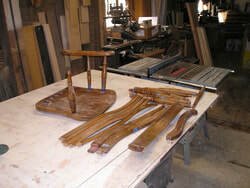 Having long had an unfulfilled interest in the small and intricate, along with a lifetime of woodworking, I realized that I could complement Vitra's range of modern chairs with a collection of earlier historic chairs. Like them I would make them true to scale and "precisely recreate the smallest details of construction, material and color". Unlike the modern chairs, exquisitely replicated by Vitra, which are a precise copyrighted design, earlier chairs came in a multiplicity of variations both within the original workshops and throughout Europe and its empires as samples, design books and craftsmen spread far and wide. I will be creating a sampling of designs from the earliest times to modern times. 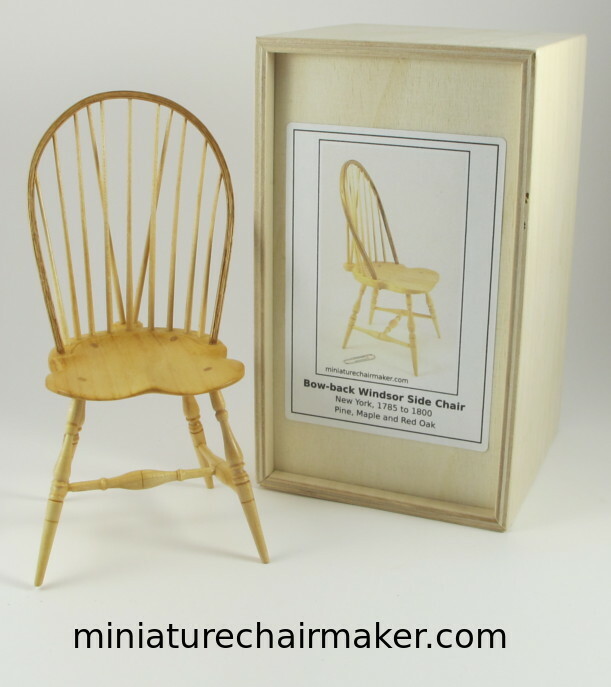 Each chair comes in a wooden box along with a brochure giving the chair's background information.